Tripling the size of Quorum, Philadelphia’s first and only free coworking space, and the lab at FirstHand, our STEM program for youth, to provide startups and students with the space, connections, and programming they need to grow, learn, and succeed as innovators. Fueling inventions such as wearable devices that prevent attacks against women, affordable breast cancer screening for people in developing countries, 3D-printed living tissues, and more. Supporting the scientists here to solve problems and fuel change, whether they’re experts testing theories or entrepreneurs turning inventions into businesses. 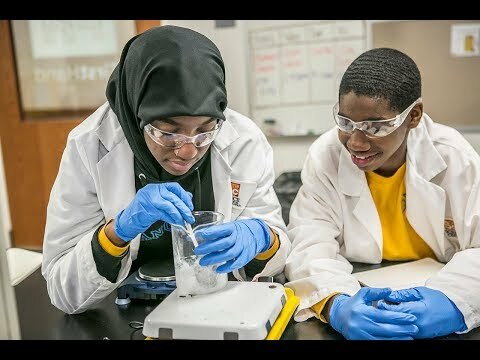 Scaling up middle school and high school programming to provide students from under-resourced schools with hands-on lab experience, mentorship from resident scientists and entrepreneurs, and STEM education to spark the future innovation workforce. FirstHand - Opening doors for the minds of tomorrow. Through the Ignite Innovation campaign, we’re dedicated to fueling the future of access, innovation, discovery, and inclusion at the Science Center.